During the annexation of Crimea, Russia's President Vladimir Putin laid “philosophical foundation” for invasion of any country with a Russian-speaking community, said well-known Russian political scientist and publicist Andrey Piontkovsky in Vilnius on Thursday. "Dictators never announce formally when they are trying to invade this or that state. For example, Putin regime never announced his plan to annex Crimea or to invade Eastern Ukraine before February 2014," Piontkovsky said at a discussion at the International School of Management in Vilnius when asked about how realistic was the scenario of Russian invasion into the Baltic states. He emphasized the importance of Putin's made on the March 18 last year about the "disunited" Russian nation on the occasion of Crimean annexation. "Putin's very important speech on the March 18 gives a philosophical foundation to invade any country of post-Soviet space and not only post-Soviet space. In his concept of 'disunited nation', Putin openly claimed his right - and not only right but a sacred duty - to protect not the citizens of Russia, but to protect ethnic Russians," said Piontkovsky. In his words, Putin's "philosophy" is already being translated into reality in the Baltic states through elements of a hybrid war – provocations next to the air-space of the Baltic states, information warfare including propaganda statements about "persecution of Russian-speakers" and cyber attacks. In Piontkovsky's words, the concepts of a "disunited nation" and "national traitors" used in Putin's speech have been borrowed from the Nazi foreign policy and have become an important aspect in the efforts of consolidating the Russian nation. Nevertheless, the Russian political scientist said he believes the Russian society has not yet fully accepted the arguments of the "Russian world" philosophy, as a dictator's success depends on successful or at least allegedly successful steps, while Putin suffered failures. 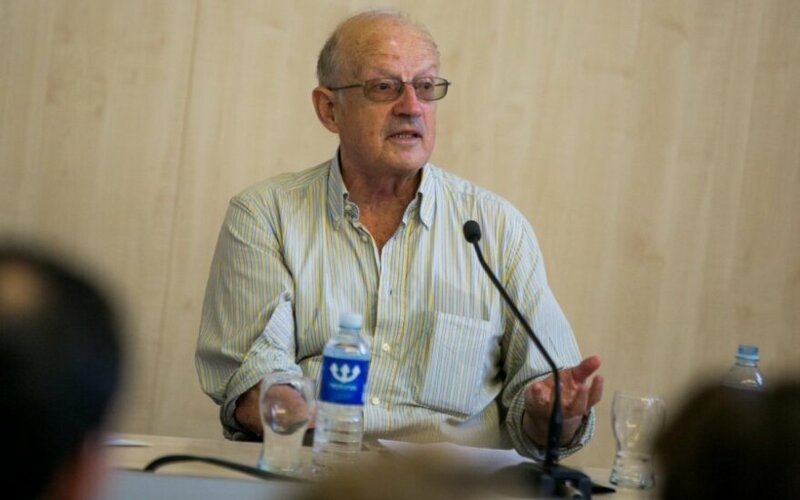 Piontkovsky specified a few – the failed attempt to change "Ukraine's European vector", the attempt to build "a New Russia" and nuclear threats that did not intimidate the West, which even stepped up its military, political and financial support to Ukraine, as well as Western sanctions that caused the Russian economy to collapse and led to discontent of the oligarchs supporting the regime. He refused to speculate on further evolution of the Russian governmental system, adding that the time of Putin's continuity in the presidential post now largely depends on the Western world's determination to keep the sanctions. "(Speaking) About a person of mister Putin, I would say that his best offer are numbers - it's certainly not a matter of years, it's a matter of months, if the West at least sustain this level of sanctions," Piontkovksky said in Vilnius.